The secret behind how our snag clip works is due to the simple attachment of a 5mm ring to the end of the leader or mainline. The clip must be used with them or the safety advantage just will not work. This is the only truly safe lead clip in the world. 1.Allows the angler to release the lead or weight by pulling from his end of the rod. All other clips are designed for the fish to pull off the lead pulling from the fishes end. Why should just the fish control this feature - you should!!! 2.Allows the fish to dispense with the line, leader and the lead should the main line break. 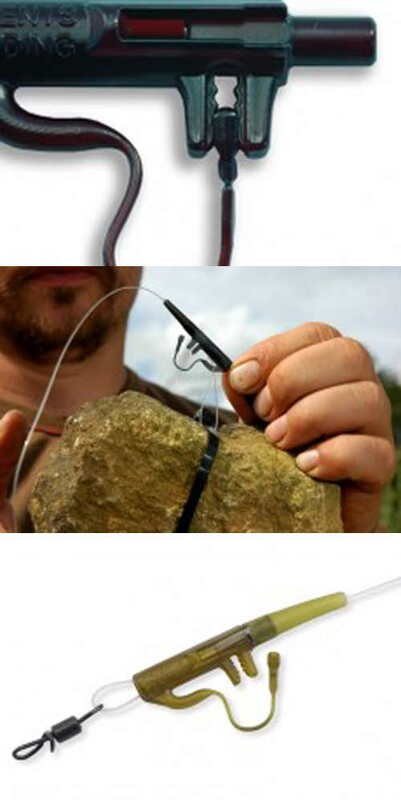 3.Ideal when fishing at extreme range. May be used safely with Lead core, abrasion resistant leaders or braided mainline. The Snag Safe lead clip is a lead/feeder clip for use with a running leger set-up. It features a large bore hole to allow the line to run freely, offering minimum resistance to a taking fish. The main design feature is the actual clip itself, which can spring open under pressure to release the lead/feeder, should it become snagged. Our unique design is extremely versatile allowing the angler to change lead sizes quickly and offer maximum control of lead discharge. Unique ultra compact design ensures the most subtle Size 8 Swivel safety lead arrangment possible. 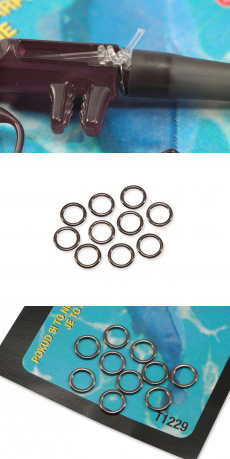 These Lead Clip and Tail Rubber Sets can be used with heavy leads and with P.V.A Bags when distance casting without worries that the lead will eject.